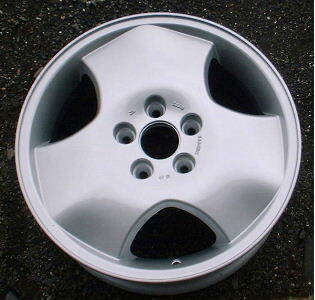 We at WHEEL COLLISION CENTER 800-292-RIMS(7467) http://www.wheelcollision.com are selling singles or a set of 4 original 97-98 SAAB 900 16x6.5 Soft Wide 3 Spoke 4648028 wheels which are being sold refinished in MINT condition. And, these wheels are expensive new from SAAB. We guarantee the wheels to be round within factory tolerances, and cosmetically flawless (ie. no marks, fading or discoloration, scrapes, gouges, scratches or corrosion). They would make a great extra set of wheels for any 900 97-98, etc. .. especially if your wheels are currently damaged poor condition, or you want to upgrade to these sporty 16" original SAAB wheels, or want an extra set to switch out for the winter, etc.